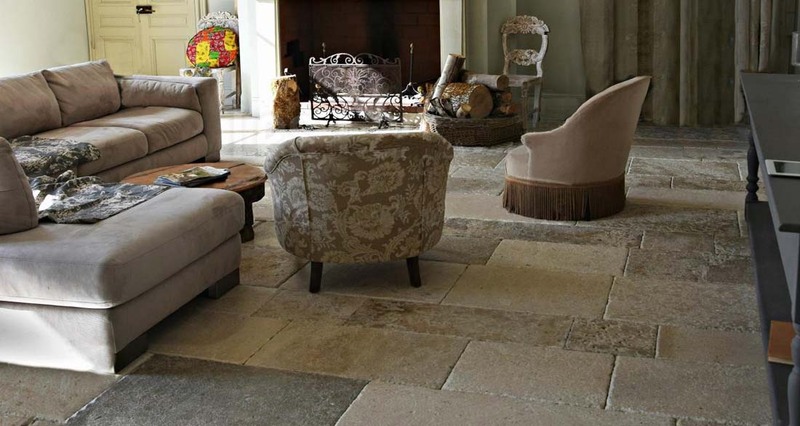 Floortiqué stone flooring covers a huge range from Antiqued flagstones, French Burgundy stone, contemporary blanc limestones, black and grey slate, marble flooring, Basalt. We have a large tumbled stone section with different colours from cream, to beige to grey and black. A delightful mix of Burgundy stones from adjacent quarries, shuffled together blending the different natural colours and shades of the stone. Pictured in random lengths and two different widths to reflect the vernacular building of the region. Crema Marfil Marble with black marble cabuchons. Note the cabochon is on only one corner of each tile and so repeats every block of 4 and therefore does not crowd the space. 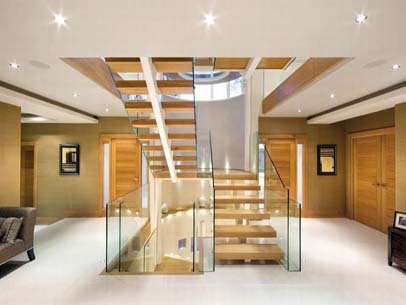 This finish could be achieved with almost any of our stone and marble floors. 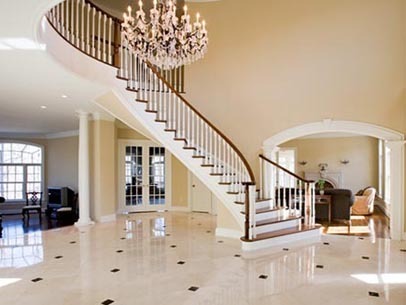 Kamen limestone is the most popular of the light stone floors. It is an off white with greyish clusters of tiny shells. This is available in nice big sizes as seen here in 900 x 600mm.